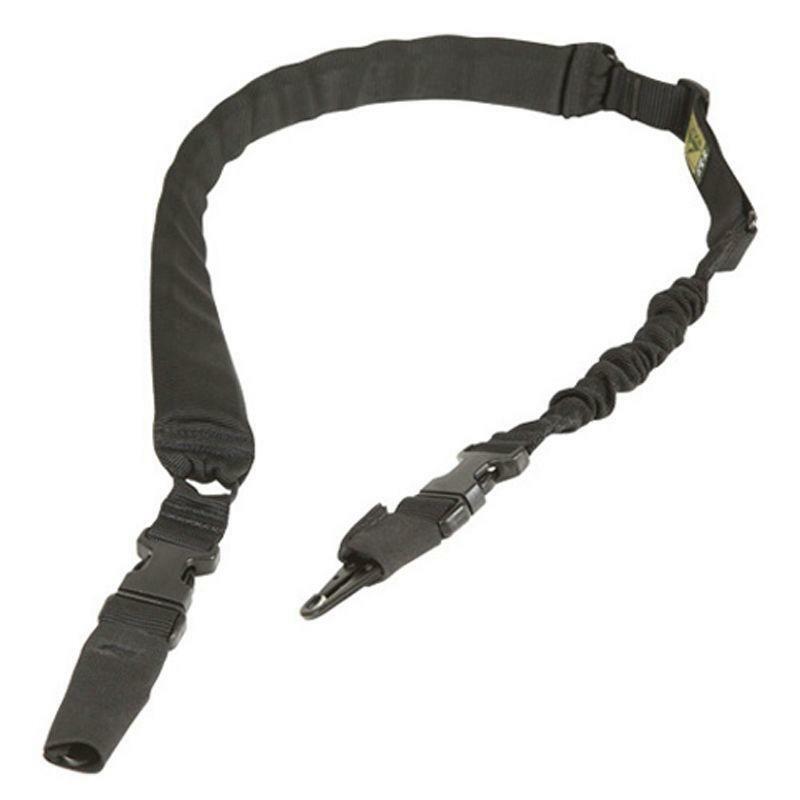 Buy Condor Black Padded CBT Bungee Sling |ReplicaAirguns.ca | Easter Weekend Sale! Comments: This Condor sling has 3/8 inches of foam padding covered by 2 inches of tubular webbing. It can convert from a two point sling to a single point sling and has a single bungee construction. The HK snap hook adapter is covered with an elastic tube and has a side-release buckle to release the adapter and sling. The 1.25 inch webbing is constructed with Duraflex buckles which is heavy duty and reliable.